JDC - Archives : The medical staff at the Sosua refugee settlement. Search > Search Results > The medical staff at the Sosua refugee settlement. Title The medical staff at the Sosua refugee settlement. 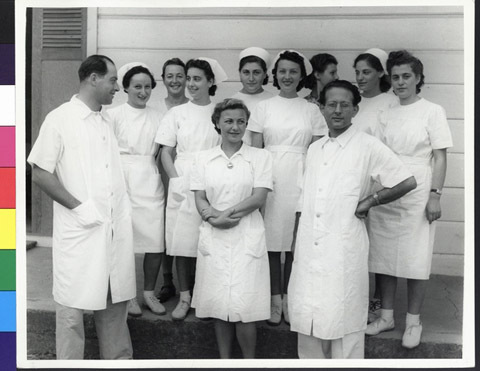 Description The medical staff at the Sosua refugee settlement: in the front row, left to right, are Sigi Klinger, Pauli Klinger, and Hans Broch (John Brooks).In the middle row, far right, is Anne Schapira.